WELCOME HOME!! 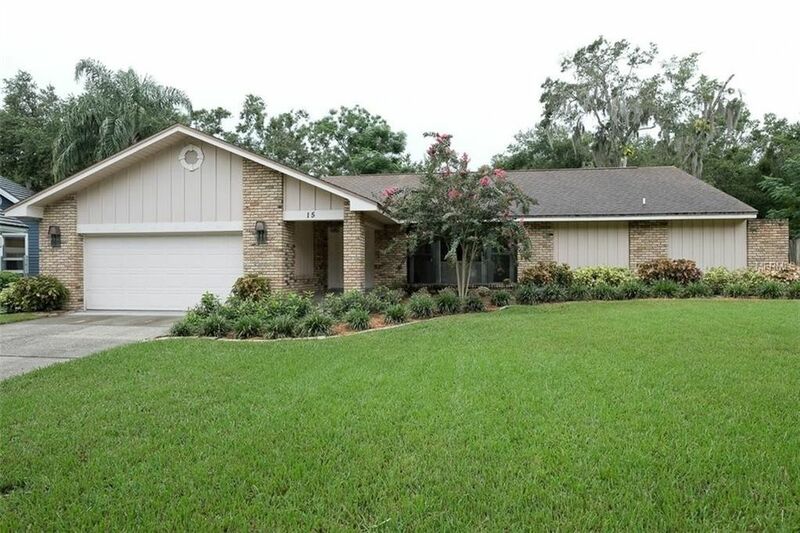 DON'T MISS OUT ON THIS TOTALLY PRISTINE HOME LOCATED IN ONE OF THE MOST BEAUTIFUL NEIGHBORHOODS IN SAFETY HARBOR... 'FERNBROOKE'!! THIS HOME HAS SO MUCH TO OFFER FROM ITS CONVENIENT LOCATION, (WALK TO QUAINT DOWNTOWN SAFETY HARBOR!) TO A GORGEOUS PARK VIEW WITH NO REAR NEIGHBORS! WALK THROUGH THE DOUBLE DOOR ENTRY INTO AN OPEN FORMAL LIVING ROOM AND DINING ROOM FEATURING 20 TILE AND FRAMED BY A LARGE BAY WINDOW AND DOUBLE FRENCH DOORS LEADING OUT TO THE POOL LANAI. THE KITCHEN IS COMPLETELY UPDATED WITH GRANITE COUNTERS, STAINLESS STEEL APPLIANCES, RAISED PANEL MAPLE CABINETS AND A HUGE ISLAND BREAKFAST BAR!! ALL THIS IS WIDE OPEN TO THE TILED FAMILY ROOM HIGHLIGHTED BY A LARGE SKYLIGHT, A COMPUTER WORK STATION AND A WOOD BURNING BRICK FIREPLACE! THE MASTER SUITE IS VERY SPACIOUS AND ADJACENT TO A BEAUTIFULLY UPDATED AND WELL APPOINTED MASTER BATHROOM WITH AN AIR JETTED TUB, SEPARATE SHOWER AND A WALK-IN CLOSET! THIS SPLIT FLOOR PLAN OFFERS TWO VERY ROOMY ADDITIONAL BEDROOMS - ONE WITH A WALK-IN CLOSET! PLUS ANOTHER WELL APPOINTED AND REMODELED BATHROOM WITH GRANITE COUNTERS AND DOUBLE KOHLER UNDERMOUNTED SINKS. TO COMPLETE THE PICTURE...TAKE A WALK OUT TO AN AMAZING VAULTED SCREENED IN LANAI WITH A GORGEOUS PEBBLE TEC POOL AND BRICK PAVERS PLUS A CASCADING WATERFALL. THE SETTING IS INCREDIBLE... ENJOY THE TRANQUIL. PEACEFUL PARK VEW!! YOU MUST SEE THIS BEAUTIFUL HOME!! MAKE AND APPOINTMENT TODAY! !